Their behavior may sometimes be questionable, but your pets' love for you is boundless. As a member of the family, you always want them by your side. With Buddies Pet Keepsakes™, you never have to be apart! Buddies are designed using a digital image of your pet's paw, nose, hoof, talon, or other detail to create an elegant and unique keepsake. Buddies Pet Keepsakes are designed and handcrafted in the USA using an original, unique casting process. 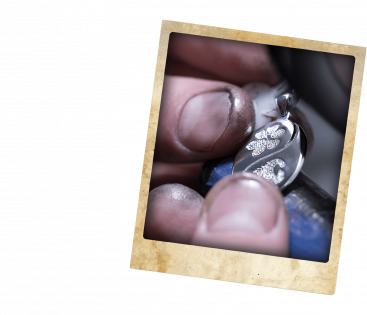 This ensures superior quality pieces that you are sure to cherish for many years to come. From rings, pins, and pendants, to pocket knives and cuff links, there is something for everyone! Whether worn or carried in a pocket, these one-of-a-kind keepsakes also make wonderful gifts for your favorite pet lover! 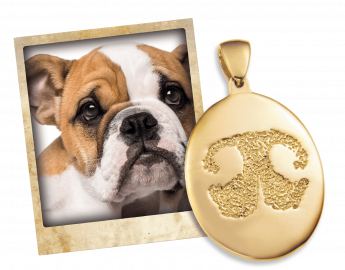 Capture the special relationship you share with custom, handcrafted Buddies Pet Keepsakes. Visit meadowhillco.com and select a keepsake that catches your eye. Select "continue as a guest" to view our range of products to suit every animal lover. 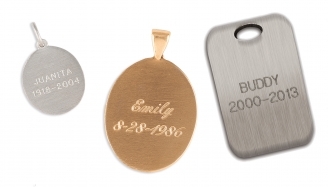 Create and customize your keepsake. From the first name in print keepsakes . . .